modlandUSA: Facebook IPO: Are You Social Enough? Facebook IPO: Are You Social Enough? Ha ha! An opportunity to use an Initial Public Offering to rant! Do you want to be part of the largest tech IPO in history? The buzz is all about a slice of Zuckerberg at $38 a share. Think about it. Does Facebook ever get any GOOD publicity? Yes, I mentioned them in a positive light in a recent blog, because I read that they will defend your privacy. And guess what? A lawsuit was just filed by users of Facebook on this issue of….privacy! Okay, maybe they’re not so good at security issues then. For starters, there’s this whole Timeline thing. Wasn’t counting, but I can easily say I’ve seen over 100 friends groaning about it. People don’t like change, but they’ll get used to, just like anything else. On the business side of things, General Motors decided not to run Facebook ads anymore. That’s no big deal. Facebook ads work for some and not others. It’s not one size fits all. But here’s the thing I find really annoying about Facebook. Control. Whose show is it anyway, Facebook? Why do YOU get to pick and choose which posts, both personal and business page ones, get to show up in somebody’s newsfeed? As far as what you see in your newsfeed, you can grab that control back by using lists. Make lists that include those people and pages that you want to see. You can also select how many posts you want to see from an individual: Just hover over “friends” on their page and select all updates, most updates, or mostly important. You can also select what kind of posts you want to see from that person; if you’re not a gamer for example, then games-be-gone! If you have a page, there’s nothing you can do about posts not showing and yes, that is frustrating. Worse yet, sometimes it happens in “batches” when three or four posts just aren’t seen. The good news is if you’ve done a good job of engaging your fans some of them will check in directly on your page. 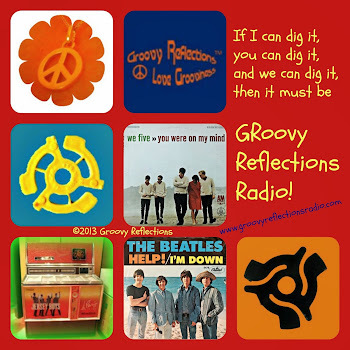 I’ve also received messages many times from people asking where the posts are with my Groovy Reflections page. Nice to know that people miss it when they don’t see it! There are lots of other things we don’t like about Facebook too, yet they continue to grow. Can 900 million plus people be wrong? Yes, admit it, you've met some great people there! And now you’re wondering; am I buying? The answer is no. I tend to look for up and coming companies that will increase my portfolio long term. To buy Facebook today would be more of a folly; if I were one that practiced buying an IPO and selling a few days later to make a quick buck, then sure there’s potential there. The question is: How quickly will the stock stabilize? Would love to hear your thoughts on this topic! 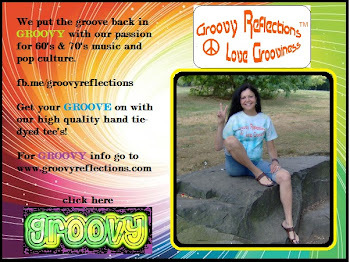 And if you are truly bored and need a little excitement now and then, find me on Twitter, Facebook, and Google+. Would love to chat with you and I won't wear a hoodie. Who really knows when anything stabilize? My entire portfolio is slouching toward retirement! As far facebook's stick price, fb has many avenues it could take to boost shareholder value even without boosting revenue - but not in the middle of an initial offering. No, you don't know...and that's the gamble especially if you're in it to make a quick buck. Also, there's the possibility that yet another social network will come along and give FB more of a run for the money than G+ has! Have a velour zip up with hoodie, actually; non-designer. So you are waiting to see how it may shake out long term then. True Sue...it seems that things change there on a daily basis. The advantage to Facebook, of course is the potential audience that is huge. Perhaps another social network would fair better for you?